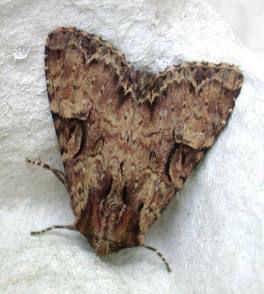 moths : A bit of a chill in the air last night and a reduction in moth numbers in the garden with hardly any micros. Two Clouded Brindle were recorded (only four previous records) and there was one decent migrant, a Bordered Straw. birds : Called in to look at the Fan-tailed Warbler pair briefly yesterday and was hoping to see some fledged young hanging around. But the male was constantly in the air singing vociferously and almost dive-bombing me on occasion. The female was in the vegetation below and it looked like he was displaying to her and so maybe they haven't bred yet or are trying again. Nevertheless, amazing views.